Most of us are pretty stressed by the need to give our savings a big boost as we approach retirement. Guess what? There is actually a relatively little known retirement savings strategy that can really help: Catch up contributions. The contribution limits and annual catch up contribution allowance vary depending on the type of retirement savings account you own. However, if you are 50 or over and have both an IRA and a 401k, you can save an additional $7,000 over the $25,000 you can already save with tax advantages — totaling $32,000. Catch Up 401(k) Contributions: The 401(k) plan annual contribution limit is $19,000– an additional $500 over 2018 — while the catch up contribution is $6,000. This means that if you are 50 or over, you can contribute a total of $25,000 per year into your 401(k). Catch Up IRA Contributions: The IRA annual contribution limit is $6,000 and the catch up IRA contribution is $1,000, allowing workers age 50 and over to contribute a total of $7,000 per year. Note that the contribution limits for traditional IRAs and Roth IRAs overlap. In other words, if you are 50 or older you can contribute a total of $7,000 per year split however you want between traditional and Roth IRAs (assuming that you meet the income limits for contributing to a Roth account). However, the limits between 401(k)s and IRAs do not overlap, so you can max out your contributions for both types of accounts in the same year. According to a recent GOBankingRates survey, 29% of adults age 55 and up have no retirement savings whatsoever and another 15% have less than $10,000 saved. However, don’t despair if you feel like you don’t have enough. Catch up contributions can make a real difference. If you’re behind on your retirement savings, maxing out both your annual contribution and your catch up contribution may be enough to finance a secure and reasonably comfortable retirement. Let’s say that you have just turned 50 and you have no retirement savings. 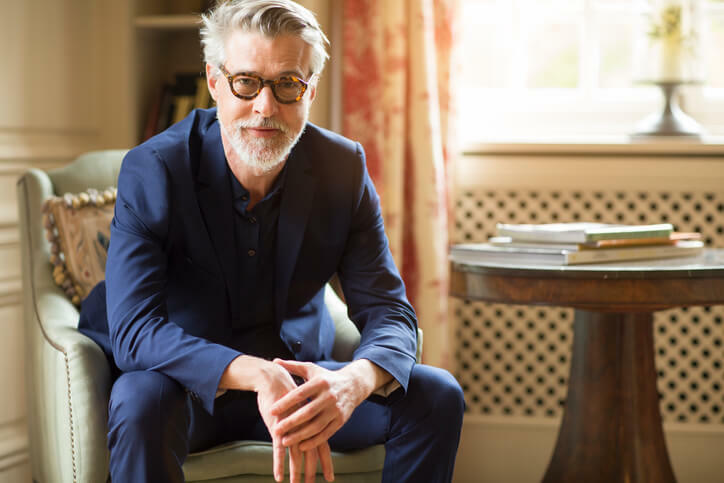 However, turning 50 is a wake-up call for you, so you decide then and there to max out your retirement contributions to your 401(k) and Roth IRA. For 2019, you could save a total of $25,000 per year into these two accounts without catch up contributions. If you earned an average 7% return per year on that money, you’d end up with $672,000 by age 65. Now add in catch up contributions, which give you an additional $7,000 per year for a total of $32,000 per year of retirement savings. At that rate of savings, you’d have $860,000 by age 65. That means that an extra $7,000 per year that you can save thanks to catch up contributions results in an additional $188,000 in your retirement savings accounts. Sure, it is easy to see how beneficial it is to save at least as much as the IRS recommends. However, actually finding the money to save can be the real challenge. To save more for retirement, you don’t need to find new sources of income, you just have to rethink your existing spending. Small Ways to Boost Savings: Instead of looking for large chunks of money, think about ways to save that are a whole lot smaller. Explore 11 Ways to Save More for Retirement. Big Ways to Boost Savings: Downsizing and spending less on housing is a really powerful way to save a lot more for retirement. Here are 8 other ways to save big. Catch up contributions don’t just help you save more for retirement; they also help you reduce your tax bill. When you save money in a traditional IRA or 401(k), you’re not required to pay taxes on those contributions. That means you’re able to save more money into these accounts without impacting how much money you have left for other expenses. For example, let’s say that you are single and made $200,000 per year. In 2017, you would have paid federal income taxes of $49,399.25 on that salary. But if you contributed $24,000 of that money into your 401(k) account, your taxable income for the year would be reduced to $176,000. As a result, you would have owed only $42,261.75 in federal income taxes. So contributing $24,000 to your retirement savings account saved you $7,137.50 in taxes. That’s over $7,000 that you now have to spend on other expenses. Without access to catch up contributions, you could only have contributed $18,000 to that 401(k) and your tax savings would have been only $5,457.50. Saving money in a Roth account also gets you a tax break, but in a different way. With Roth accounts, you don’t get a deduction on the money you contribute to the account, but when you take money out of the account you don’t have to pay taxes on it. If your retirement income is limited, being able to reduce your tax bill at that time may make a significant difference in your standard of living. Reducing your taxable income in retirement may have other benefits than simply stretching your retirement income a bit further. For example, Social Security benefits become taxable if one half of your Social Security benefits plus your other taxable income exceeds certain limits. Since distributions from Roth IRAs are not taxable income, they don’t count towards this calculation. As a result, putting your annual IRA contribution into a Roth account may result in an even better tax deal than putting that money into a traditional IRA. If you’re behind on saving for retirement, it’s even more important to have a good retirement savings plan and investment plan for that money. Saving every month is hard. But it is harder when you don’t actually know if you are saving too little or too much. You might want to start by figuring out how much YOU will need for YOUR retirement. (Don’t rely on averages that may or may not apply to you and your values and goals.) The NewRetirement Retirement Calculator is one of the most detailed tools available online. It is easy to use, but is designed to help you imagine your future and take the steps you need to take to make that future happy and secure.